Keith Jobberns – our National Director shares about ways the local church can support believers sent into the world as agents of transformation. 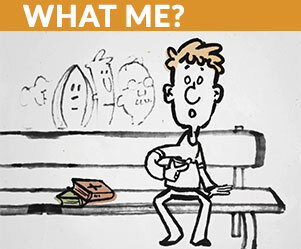 Did you catch the look of incredulous surprise on the face of the guy sitting on the park bench in our recent Easter video? He suddenly realizes that God has chosen to use him to reach others for Jesus. What has happened to our understanding of mission that realising that all Jesus followers are “sent” by God is a new revelation?cYes we have too often outsourced mission and outreach as the video suggests and have diluted down the call to mission to just a select few. This stands in such sharp contradiction to our Baptist story in Australia and overseas. A story of creative witness in many diverse contexts that is such a rich one. We trace our inspiration to being sent out to bear witness with creativity back to way of Jesus, the early church and the creativity of our God as demonstrated in the Scriptures. Being sent is at the core of God’s mission, highlighted in the sending of His own Son and so clearly understood by the early church. Of the multiple examples let just highlight one. Luke in his inspired account of the sending out paradigm of the early church in Acts 11:19f provides an understated narrative of a local church in action at Antioch. As Luke records it, some unnamed people, ”men from Cyprus and Cyrene, went to Antioch and began to speak to Greeks also, telling them the good news about the Lord Jesus.” Understanding that their commitment to Jesus meant they had to go out, they were instrumental in the establishing the first non-Jewish local faith community. This ‘sending out’ paradigm is so imbedded in the ethos of this local faith community, that it comes as no surprise that they participate so energetically in another significant “sending out” moment in the mission of God. The Church when it is authentically the Church is always a sending community. Sadly however the guy in the park bench characterises the lack of awareness of many believers of God’s purpose to use them to share the message of Jesus. I find myself asking the question, what wou ld it take for my local church to help believers like him understand that as s/he goes out into their daily life activities at work, in the community – s/he is in fact being sent as an agent of transformation? 1. 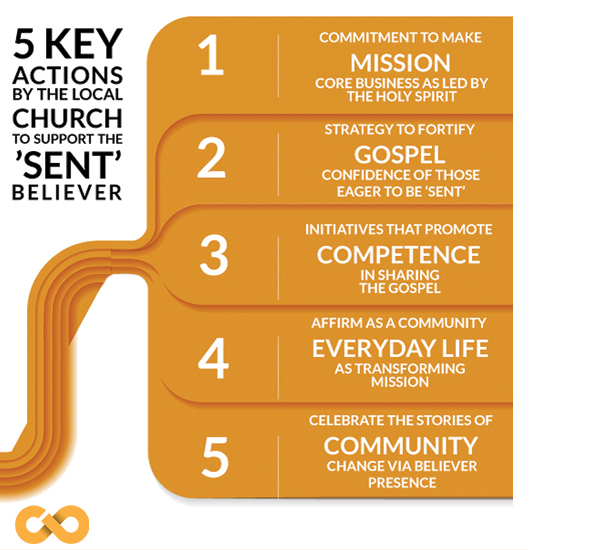 A commitment by the local church to make mission its core business as directed by the Holy Spirit. 2. A strategy by the local church to strengthen the local believers to believe that Jesus is the way, the truth and the life. To fortify their confidence in the Gospel. 3. A strategy by the local church to equip the local believers to be more competent in sharing the Gospel. 4. A process as a gathered community to affirm local believers in their engagement as agents of transformation in their everyday worlds. 5. A celebration of the stories of transformation in the local community and beyond which have occurred because the local believers have “gone out” on mission.